Going for a bike ride is a great way to spend some hours out of the office. Sure, you could just rent a bicycle in one of the many shops in Barcelona. But if you are looking for something with a bit more encanto, you shoulds stop by El Ciclo. 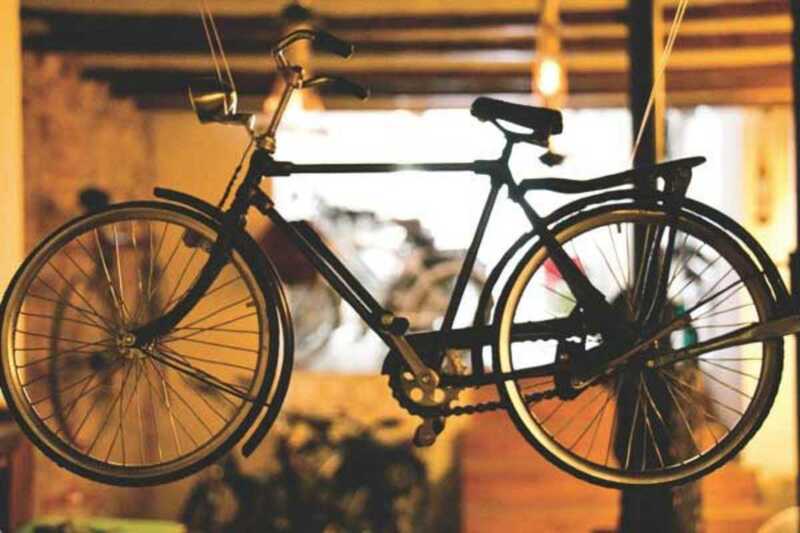 Owner Ramiro Sobral is an authentic bike fanatic himself: he’s traveled thousands of miles by bicycle and owns a collection of different kinds of bikes. Since July 2013, he’s been running his own little shop in the Barri Gòtic neighborhood. You can just rent a bike here, but El Ciclo also offers private city tours in several languages. And while his clients are discovering the city on one of the comfortable bicicletas, Ramiro repairs and sells second-hand bikes. He uses the old bikes parts to create amazing lamps, also on sale in the store.